Search Engine Optimization, better known as SEO, is a new age marketing strategy in which the selection of specific targeted keywords impacts the visibility of a website in search engine results. SEO has become a deciding factor in the success of companies of all sizes and across all industries. In this article, we will discuss tips and best practices for how to create effective SEO keywords. 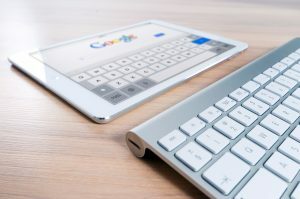 It is becoming increasingly common among companies and individuals alike to use SEO keywords to meet unique business objectives, and because of this, you have to know how to produce fresh SEO-embedded content that will increase traffic to your site, therefore, helping to increase overall revenue. But how do you choose the winning keyword that will be a surefire bet to improve your ranking in search engines? One of the first steps to scaling any company with SEO is to find out the keyword rankings for related phrases and words in your niche market. It’s important to strengthen and increase the flow of search traffic by your target audience to your website. Several factors affect keyword rankings, such as on-page and off-page SEO, length of content, domain’s trust and others that we will discuss later. If your marketing team doesn’t have a strong grasp on SEO, it’s recommended to outsource this piece of the puzzle to an SEO expert that can help with SEO and keyword rankings for you increase visibility and meet related business goals. Choosing the appropriate keywords is not all about duplicating the same keyword or keywords over and over again. You must be creative, authentic and relatable to be effective when writing your website content or blog posts. Try also selecting secondary keywords to blend with the primary, apparent keywords, and monitor your website traffic to measure any difference. Using more elaborate and specific keywords and key phrases, such as changing ‘bracelets’ into ‘diamond bracelets’ or ‘silver bracelets’ will bring in a bigger audience. Step out of your comfort zone with your current keywords; chances are, you could be missing a trending term! It is common to question whether or not it’s useful to use basic words in your post with regard to SEO. Since it’s all about search engines and visibility, there has to be a value in common words, right? Even if it’s alright to choose basic words, there’s still a necessity to do your research and utilize other keywords. And not just once! You will want to check on new keywords popping up in your industry, frequently. The purpose of adding a variety of keywords to the content on your website is to continually increase your keyword rankings in all keywords used. For example, instead of using the keyword ‘online businesses’, you could opt for other terms, such as ‘successful online businesses’, ‘online business reviews’, and ‘best online businesses’. There are many phrases and words to consider so make sure to choose appropriate keywords for your website and associated sites. In the end, remember – what matters is the quality of your keywords, not always the quantity.